Colonels | Out of the Box! Homecoming Week! 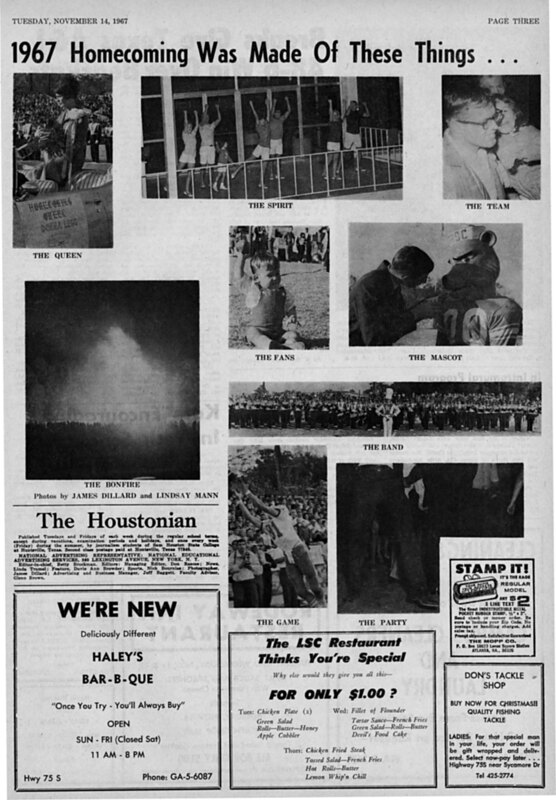 Since the mid-1940s Homecoming as we known it today has been a big deal on the Sam Houston State University campus. With all the festivities, electing the Queen and King, and most importantly THE BIG GAME there will be fun for all. This year we take on Nicholls State and have a record of 6-0 against the Colonels. 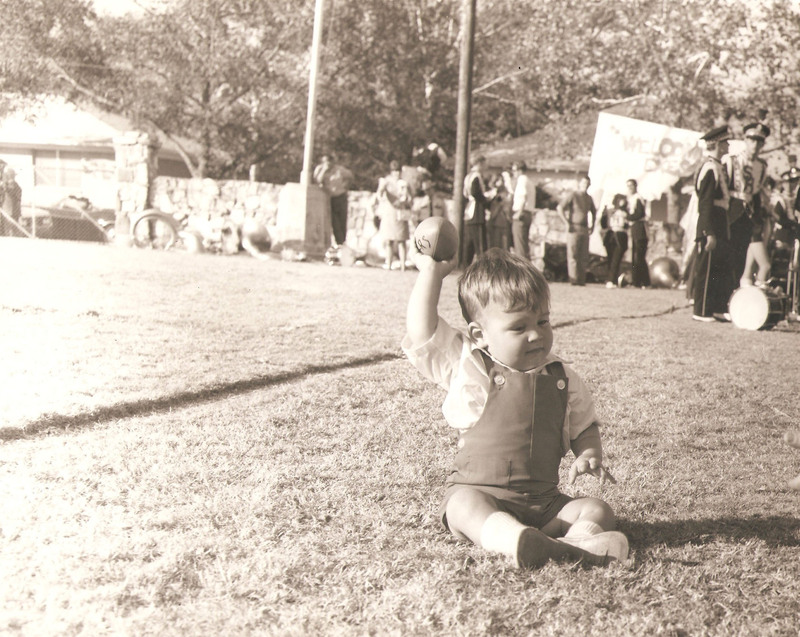 This week University Archives would like to introduce you to the cutest BearKat Homecoming fan. His name is Chris Gilstrap. Chris was destined to be a BearKat from an early age. His father Michael was a student (alum 1968 and life member of the SHSU Alumni Association) and his mother, Barbara, worked for Dr. George Killinger, who was involved in starting the Criminal Justice program at the same period of time this photograph was taken at the 1967 Homecoming game between Sam Houston State College and Texas A & I. Sad to say we lost that game 48 to 6, but gained this adorable photograph to feature in this post 48 years later. The game was played at Bedrock Bowl or Old Bedrock, also known as Pritchett Field. Little Chris was getting bored so his father decided to take him out of the stands and entertain him on the sidelines. Chris’s picture was shot by a Houstonian photographer and he appeared in the November 14, 1967 issue of The Houstonian. Just a quick 22 years later in 1989, Timothy “Chris” Gilstrap, now a BearKat of the 1980s, graduates from Sam Houston State University with a Bachelor’s degree in Fine Arts, Mass Communication/Media Studies continuing the Gilstrap Family BearKat tradition. Chris was also a member of Alpha Tau Omega Fraternity. Many thanks to Michael Gilstrap for letting the University Archives use this picture. To learn or see more materials on Homecoming activities come visit the University Archives in the NGL, room 400.